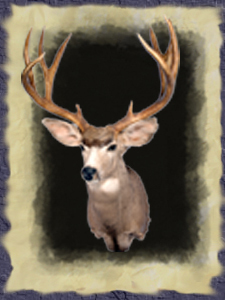 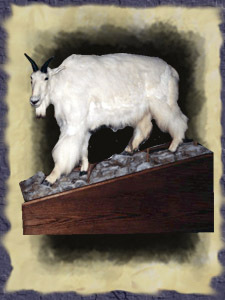 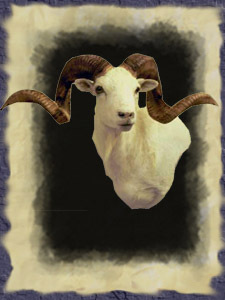 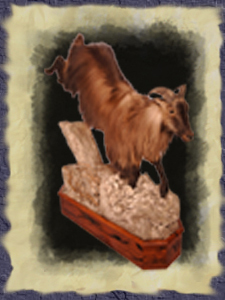 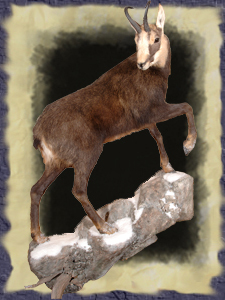 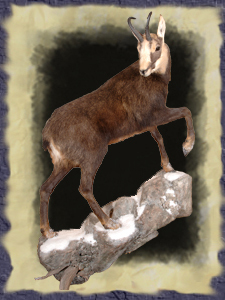 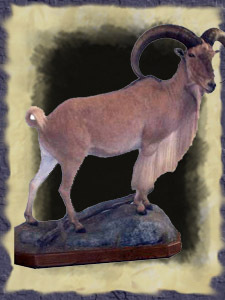 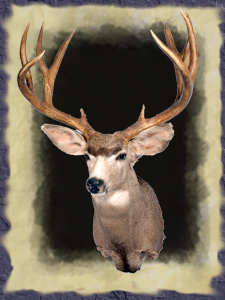 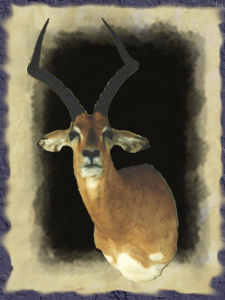 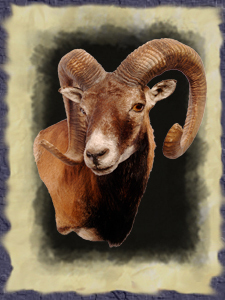 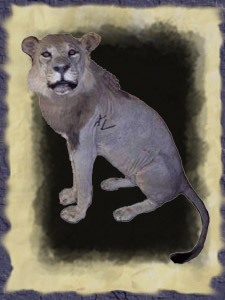 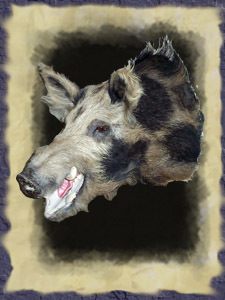 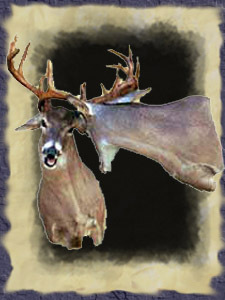 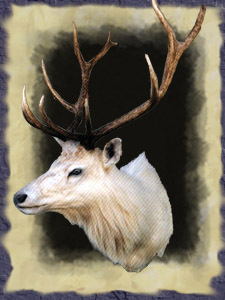 Rhodes Taxidermy has a reputation in the Texas Hill Country for quality taxidermy work. 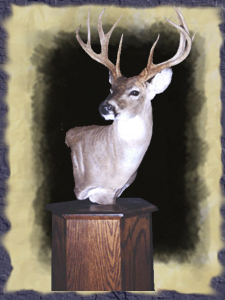 Most of the area's professional guide services know that we provide the best service and lowest prices on all taxidermy work. 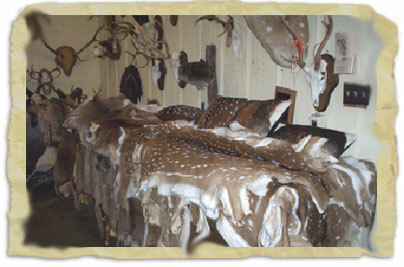 Each animal is prepared immediately after arriving at our facility to ensure the finest mount possible. 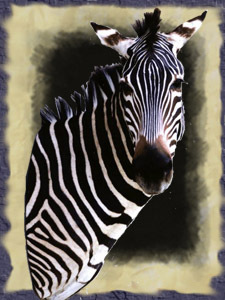 Extreme care is taken for each animal upon arrival. 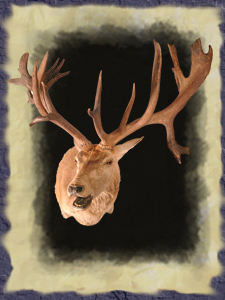 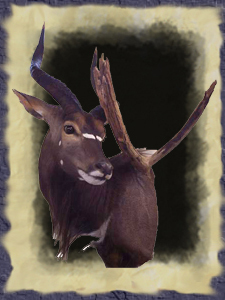 These unique set of antlers were found locked together, and underwent the European Mount process. 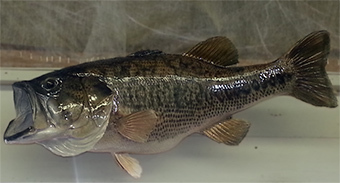 We also do great work on water fowl and fish. 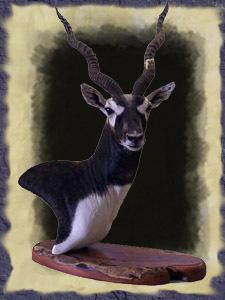 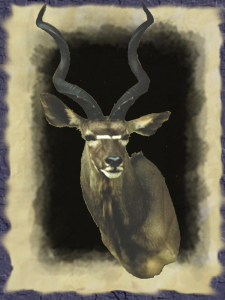 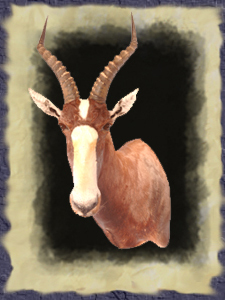 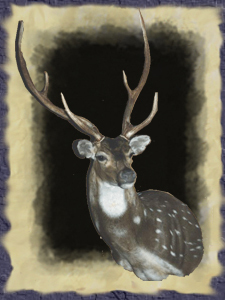 And we also have a supply of axis, whitetail, and blackbuck skins. 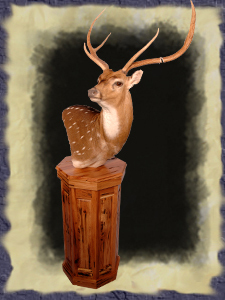 We also carry axis pillows that look great in any house. 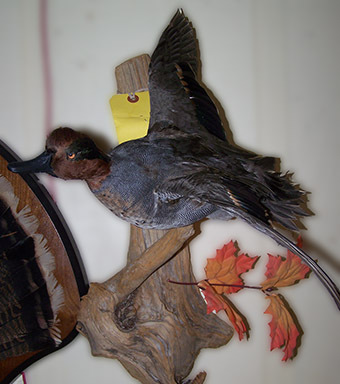 We also do great work on water fowl and fish.